Liston's bone-cutting forceps, stainless steel, c 1950s. Robert Liston was a world-famous Scottish surgeon during the 1800s. He worked during the time before pain relief was regularly used in surgery, thus operations had to be performed as quickly as possible. Liston was renowned for his surgical skill and speed, which was in part due to the instruments that he used. He designed several instruments himself, including his own adaptation of the bone forceps. Bone forceps are still used today to cut through thinner bones, such as the ribs. Charles F. Thackray Ltd.; 1902-1990; Surgical instrument manufacturer, “Liston's Bone-Cutting Forceps,” Heritage, accessed April 20, 2019, https://heritage.rcpsg.ac.uk/items/show/130. 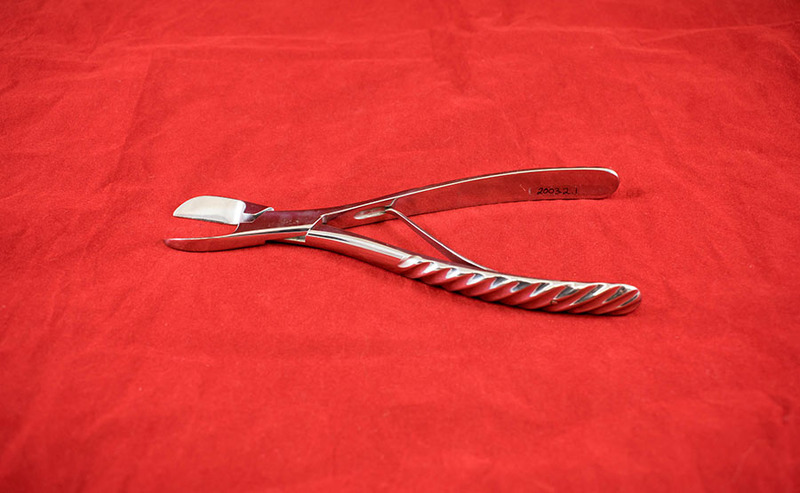 Description: Liston's bone-cutting forceps, stainless steel, c 1950s. Robert Liston was a world-famous Scottish surgeon during the 1800s. He worked during the time before pain relief was regularly used in surgery, thus operations had to be performed as quickly as possible. Liston was renowned for his surgical skill and speed, which was in part due to the instruments that he used. He designed several instruments himself, including his own adaptation of the bone forceps. 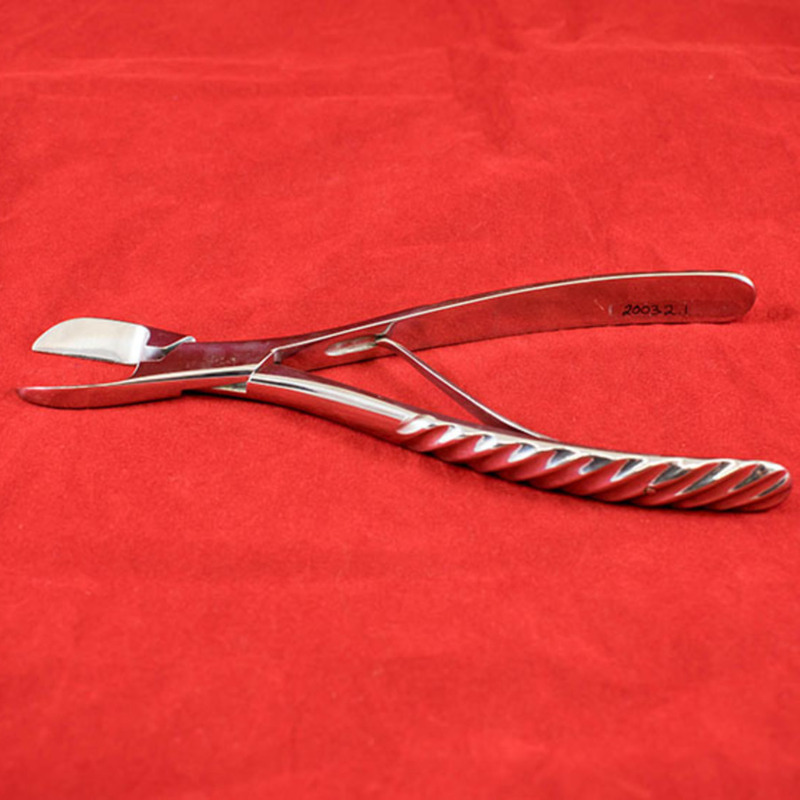 Bone forceps are still used today to cut through thinner bones, such as the ribs.